Thai Kickboxing is a martial art that originates from Thailand. It is a full-contact combat sport that utilizes eight points of contact: fists, legs (shins to be more precise), elbows and knees. That makes it different from most other stand up fighting styles like Boxing with two points of contact or Kung Fu and Taekwondo with four points of contact. Another fighting technique which gives Muay Thai fighter a great advantage over most other stand-up fighting styles are neck wrestling and clinch techniques. A fighter can control and maintain the distance with kicks and punches. Whenever the opportunity arises, you can quickly close-up the gap to fight from a clinch. From this position you can deliver elbows and devastating knees to the body. As you can see Thai Kickboxing has a very powerful and straightforward set of techniques that one can use in the ring and also for self-defense. Why is it smart to learn Muay Thai? The answer is simple: because it works! 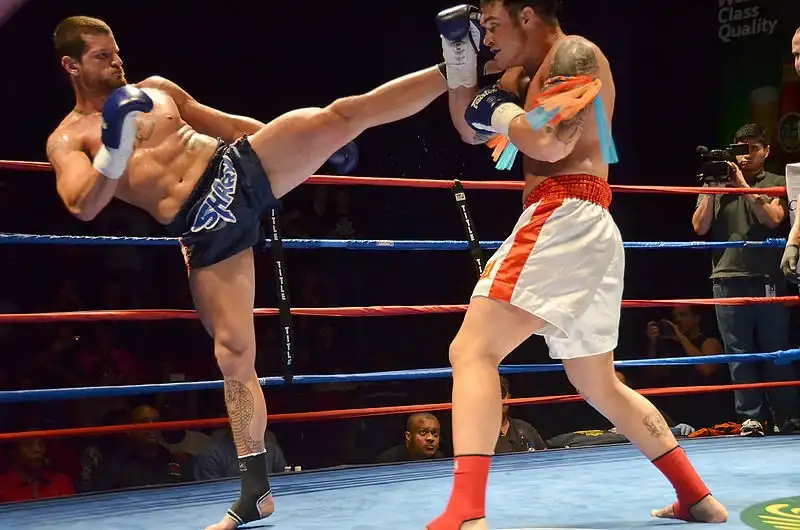 The effectiveness of Thai kickboxing is the main reason why it is used widely in a various mixed martial arts competitions, like UFC, and a lot of high-rank fighters use it in their professional fights. Fighters like Jose Aldo, Anderson "The Spider" Silva or Joanna Jedrzejczyk utilize Thai Boxing as their main stand-up striking style. For example an inside leg kick is one of the most commonly used strikes in MMA and all commonly used elbow strikes can be traced back to Muay Thai too. Another great thing about it is that it keeps you in a great shape. Proper training puts a huge esteem on body conditioning, and workouts concentrate on shaping your body and hardening your muscles especially abs, arms, and legs. It is a quickly growing in popularity no-nonsense combat system that you can start training too. How effective is Muay Thai in a street fight? It keeps you in a great physical shape which is crucial in this kind of situation and allows you to enforce your fight pace. It provides you with a simple, straightforward techniques that you can use easily in a real fight. The main training tool in Thai kickboxing is sparring, which is the best way of learning new skills and getting an instant feedback. It also prepares you to fight with a real opponent. It gives you a set of powerful weapons - like elbow strikes - which can be used in both: attack and defense. Are you ready to start training Muay Thai? Feel free to explore this website to get valuable resources that will help you to develop your fighting skills. I will provide you with lots of training advice which you can easily use in practice to become a better fighter. This is a good place to start your adventure with Thai Kickboxing.